This day is just beginning but my blogger friends and I gladly got schooled in history. 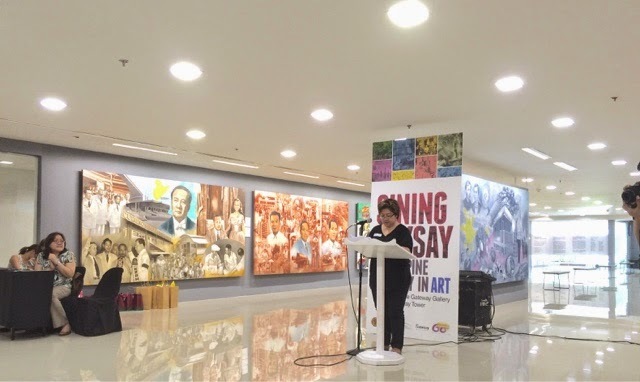 An art exhibit entitled "SININGSAYSAY" (Philippine Historical Art) has been put up at the 5th Floor of Gateway Mall in Quezon City so people and groups would be able to connect art with history and how they would be able to show their work with the greater public. - We have petroglyphs in the caves of Angono. Before writing, we did have ways to communicate already. - The oldest image in the Philippines is Sto. Niño de Cebu. - Manila if said in most history books is just the walled city, not the whole thing we know today. There's a lot more but of course you have to be there to see and experience it! We spoke to one of the artists named Pablo Baen Santos, he says "I wanted to show historical facts, important issues but not too much to make it aesthetically pleasing. This is to draw attention, memory recall and reference. You can't be tied down to details. I'm more mandated to create a beautiful artwork first before history though. I'm an eyewitness since I wrote for Taliba ng Bayan which is an underground newspaper, but had limited copies because they used mimmiographs back then. We had to move constantly if there's surveilance being felt and distribute the stencil so it wouldn't be hampered. It took me 2-3 years to make this. 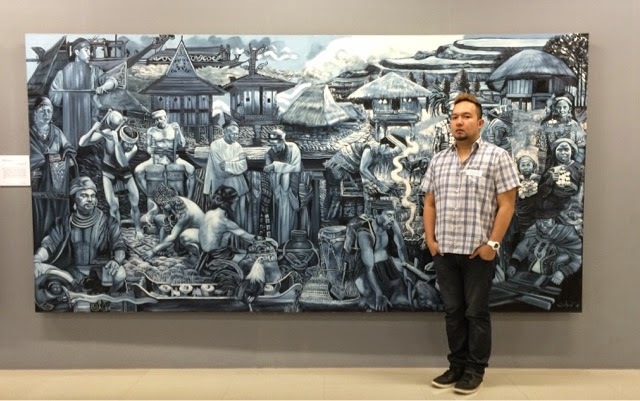 The UPAA and Aranetas commissioned us and we talked about what we had to do and it was easy to do but I had other paintings to do at that time, so it took that long." Now I am from Quezon City don't get me wrong, but just like most of you I haven't seen this wing of Gateway Mall yet. The way there is almost as wonderful as this exhibit too because there's an artificial roof garden and topiary which would be pretty cool for kids and lovers who would want to have a quiet place all for themselves. Although announcing this might make that place more populated, I think people wouldn't be going there too much. The time to enjoy the place is now. 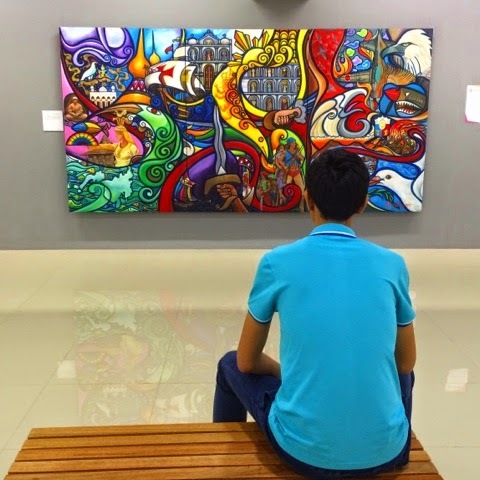 Aside from that, the phenomenal artwork displayed currently at the Gateway's 5th floor tells us about the generations of history the Philippines has. If you've got visitors from other countries, you can tell them about the Philippines even in a short amount of time. 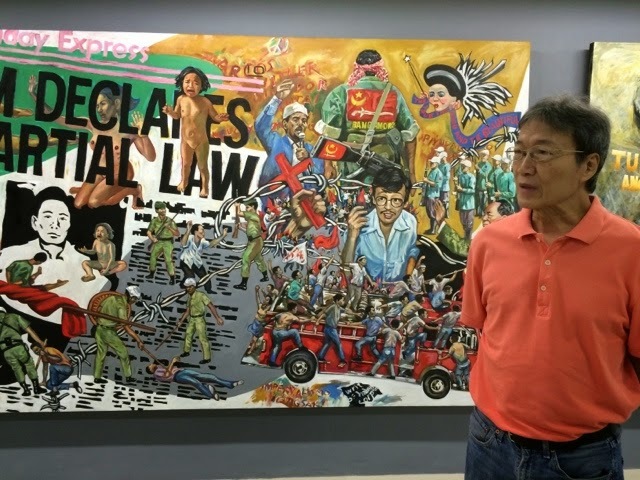 I must also say you should see the Randy T. Solon work which I personally like, and the one by Jonahmar Salvosa who did the Galleon Trade in different textures, plus the one done by Bencab in the same place. These pieces are currently in Gateway only for a short amount of time and will be transferred once UPAA has establishe their own home in UP grounds for the artworks. 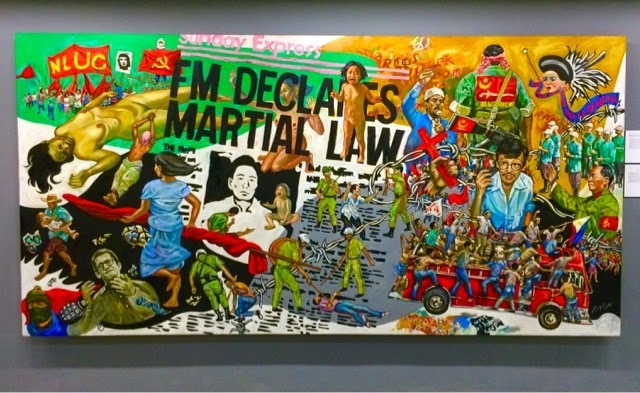 Please visit SININGSAYSAY at the Gateway Tower's 5th Floor (Gateway Gallery). You can use the entrance at the Gateway Mall and the one at the Gateway Tower, just ask the concierge so you can visit them from 11AM to 7PM everyday. Figaro Delos Santos Now Open! Get Gadget Shop iPhone Trade In Promo! Julie Ann San Jose Releases New Single!